Tt: the customer may have a difficult time when refueling their vehicle while ready off. the fuel pump nozzle may shut off repeatedly. Tt: pre-delivery service (pds) is a critical step in satisfying new car customers. 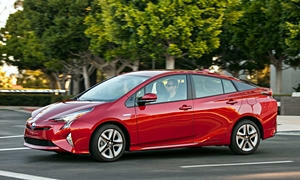 please be aware that a new pds check sheet has been developed for the 2016 model year prius. some check points have been clarified. Tt: a vehicle may arrive to the dealer with a mil ?on? condition and p0a80 stored in the memory. some cases have been identified with internal modification done to the hv battery. modified or altered parts are not covered under warranty. 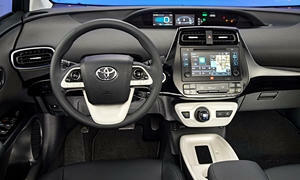 Tsb: this service bulletin includes precautions and key points for the front camera for toyota safety sense c and toyota safety sense p adjustment procedures. Tt: a vehicle may arrive to the dealer with a mil ¿on¿ condition and p0a80 stored in the memory. some cases have been identified with internal modification done to the hv battery. modified or altered parts are not covered under warranty. Dealer daily: limited service campaign g0t dealer letter and technical instuctions are now available on tis.